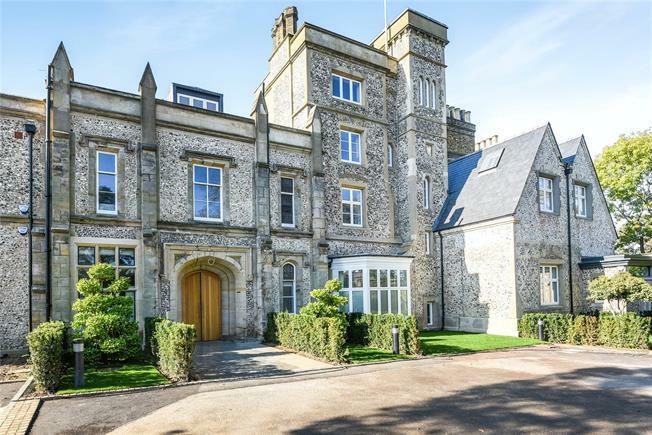 3 Bedroom Flat For Sale in Keston for Asking Price £1,575,000. This grand home is effectively the 'Principal' apartment of the development as it occupies the central part of the main house including what was the 'ballroom', and has triple aspects, facing as it does west, north and east. The ground floor residence comes with a grand entrance hall, three generously proportioned bedrooms, and a wonderful garden terrace which is accessed from the lounge/kitchen and also from one of the bedrooms. The total 2,185 sq ft. of space is well-proportioned between the living space and the bedrooms, all of which enjoy the convenience of a bathroom.